Strolling and cycling in the sunshine, dining on a picnic with friends, tucking into a BBQ amongst the trees – parks are the perfect way to relax and enjoy a peaceful afternoon away from the hustle and bustle of the big city that surrounds it. We’ve collated our favourite city parks in America, chosen for their charming ambience, beautiful landscapes, and a touch of unique flair, including a mix of festivals, sports, and quaint tearooms. So pack your picnic and have a peek at our choices, you won’t be disappointed. 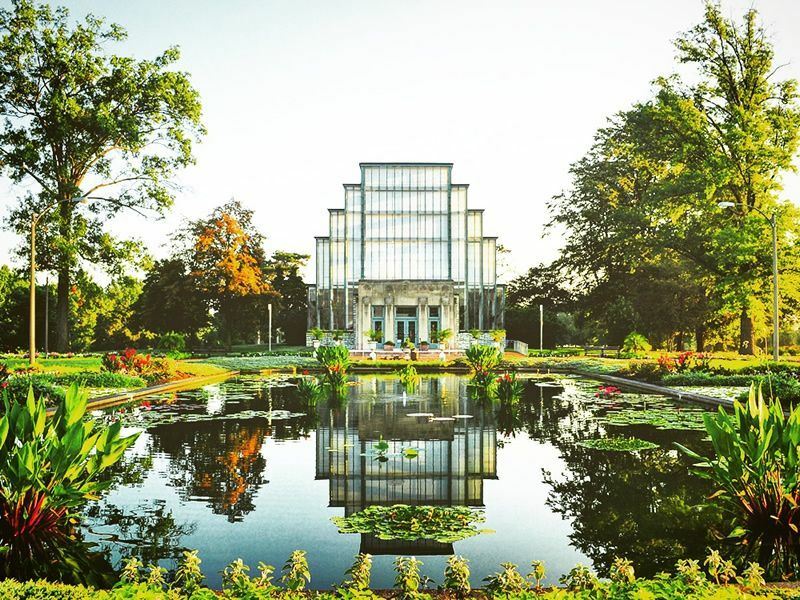 What: Designed by Fredrick Law Olmsted and Calvert Vaux who also designed Central Park, Prospect Park is perhaps not as well known as Central Park but the 585 acres of this leafy urban escape are well worth exploring. Before the parks existence the Battle of Long Island took place on its site during the American Revolution, look out for plaques dedicated to the battle. The best bits: There are plenty of places for picnicking in this glorious urban park as well as designated barbeque areas. Long Meadow, almost a mile long is perfect for relaxing, taking a stroll or watching the world go by. Horse riding is a popular pastime here with a 3.5-mile bridal track to explore. Prospect Park Zoo is a popular venue with children. Summers here are full of fishing and peddle boating on the lake whilst winters are all about wrapping up warm, ice skating and sledding down the park’s hills. Don’t miss the Grand Army Market on Sundays from May to October, featuring the work of local artists and handmade crafts. Green Market is open all year round and is the place to purchase organic and free-range goods. What: Nicknamed Chicago’s ‘front yard’, Grant Park has 319 acres of green space to discover. Situated alongside Lake Michigan it was first named Lake Park and renamed in 1901 in honour of Ulysses S. Grant. The park has been used for many large events and was the venue for President Obama’s Election Day victory speech in 2008. The best bits: Part of the Chicago Lakefront Trail runs through the park and along the waterfront, making it perfect for a stroll in the sunshine. 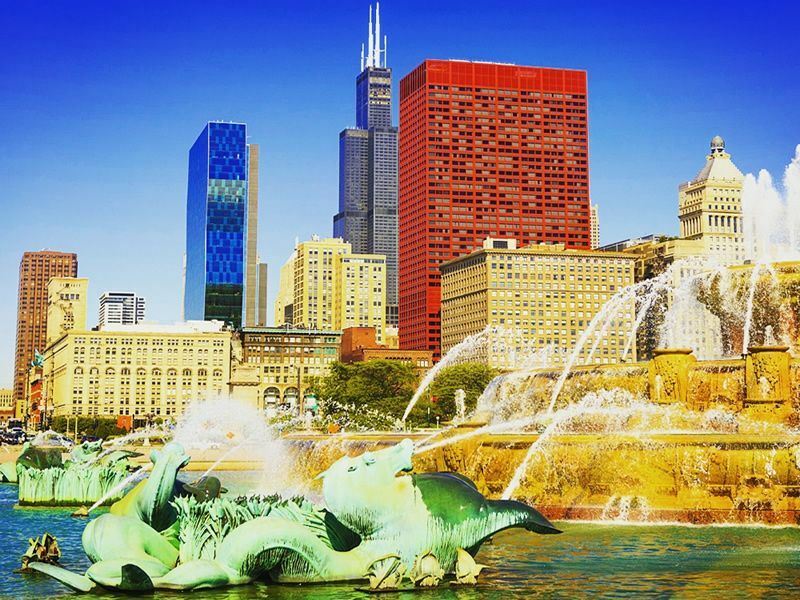 The spectacular Buckingham Fountain, one of the worlds largest is found here and attracts crowds from April to October with its exciting water displays. For the young and young at heart Skate Plaza skateboard and BMX park has ramps and grinding rails in nearly two acres of open space. For art head to Millennium Park home to impressive sculptures and artwork and for culture Museum Campus. Shedd Aquarium, Adler Planetarium and Field Museum of Natural History all make for an interesting day out. A park wouldn’t be complete without gardens and Grant Park is certainly not short of green spaces. Laurie Garden is filled with beautiful lavender and the rose gardens are a nice place for a picnic. What: William Hammond Hall and John McLaren designed and developed the 1017 acres of land in the 1800's turning it from sand dunes into what it is today. Around 13 million visitors flock to the park each year, making it the fifth most visited park in America. 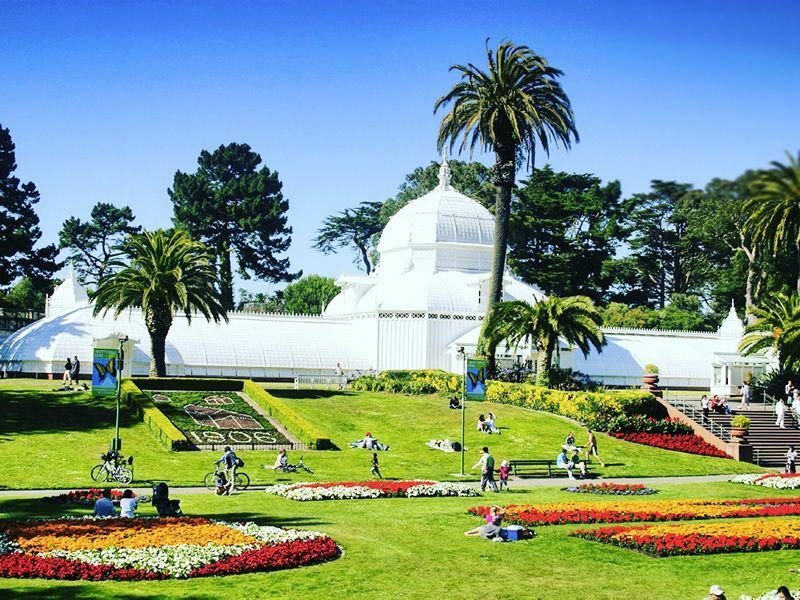 The best bits: This city escape is beautiful, marvel at beautiful blooms, waterfalls and the impressive display of orchids in the Conservatory of Flowers; built in 1879 it is the oldest building the park. The Japanese Tea Garden adds a touch of oriental charm to the landscape with an impressive five-storey pagoda and colourful gardens full of wisteria and azalea. Have a camera at the ready for the field full of bison at the western end of the park, also at that end climb to the top of Strawberry Hill for glorious views of San Francisco, the Golden Gate Bridge and Mt. Tamalpais. The Beach Chalet is a popular spot on the edge of the park for breakfast, lunch, dinner or a glass of wine with views of the Pacific Ocean. An interesting attraction is the two windmills that were once used to pump water to the city. There is a tulip garden near to the North Windmill making for a great photo opportunity. If the weather is not so good visit the Golden Gate Park Aquarium to see an array of aquatic life including sharks, stingray, coral reefs. What: Opened to the public in 2008, this modern park was developed after the city of Houston acquired land in 2002. A public-private partnership was then born as philanthropists worked together with Houston city council and the public to design the park. The best bits: Views of the city skyline can be enjoyed with a picnic on Jones Lawn, with two acres of green space in the centre of the park there’s plenty of spots to relax. Stroll along The Brown Foundation Promenade and admire the one hundred year old oak trees that line the trail. 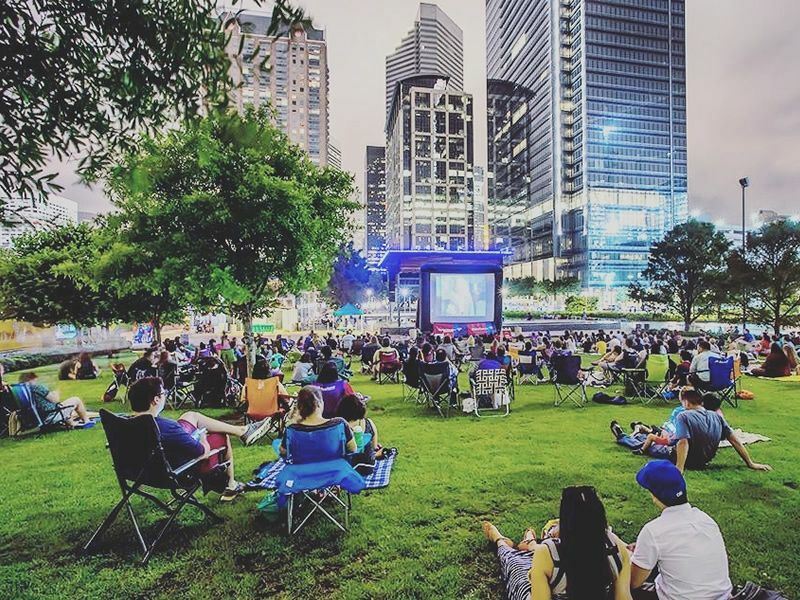 Catch an evening performance at the Anheuser-Busch Stage, this outdoor concert venue is surrounded by Houston’s cityscape, it’s a majestic evening when the sunsets and the skyline illuminates. Hire a Kayak or Stand Up Paddleboard in May and June on Kinder Lake, located on the northern side of the park it is over an acre in size. For more aquatic fun Gateway Fountain is the perfect place for little ones to keep cool in the summer, water fountains shoot out from the ground creating a fun and attractive feature. If keep fit is your thing McNair foundation Jogging Trail is popular with locals, the scenic track meanders alongside Kinder Lake. 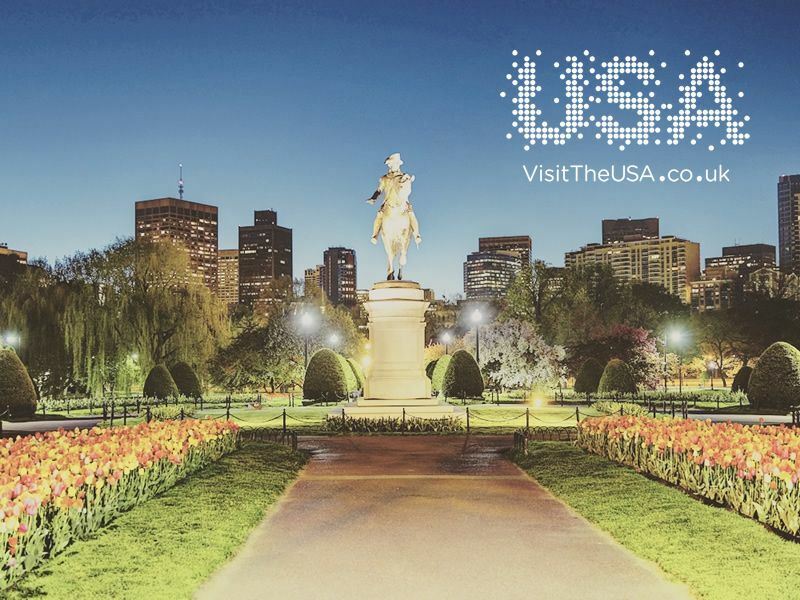 What: The oldest public park in America, Boston Common was bought to life in 1634, the Public Gardens were developed later on in 1837. The park has witnessed many major historical events from Civil War troops gathering on the grounds to Martin Luther King Jr. delivering one of his famous speeches. 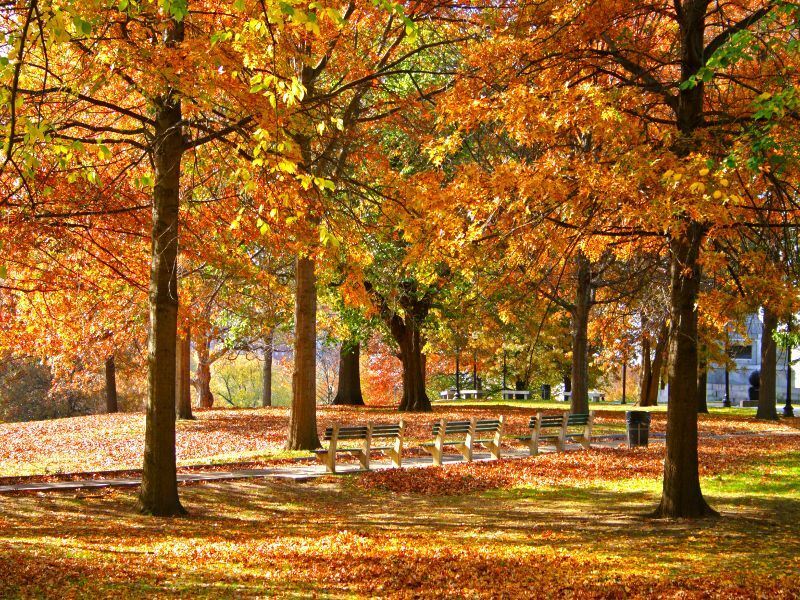 The best bits: At the start of the Freedom Trail this city park can be enjoyed all year round. The Frog Pond is great for families to splash around in during the summer months and fun for gliding around on the ice once the pond freezes over in the winter. 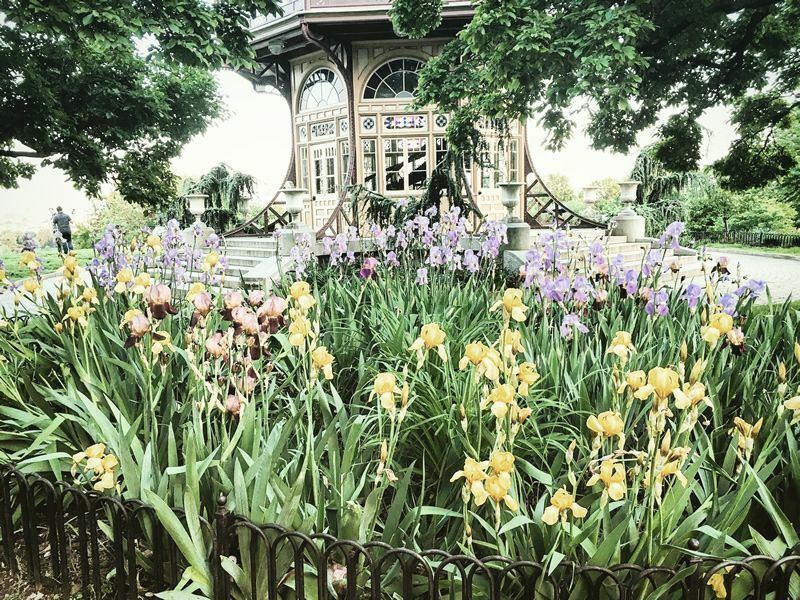 Enjoy summer concerts at The Parkman Bandstand or head over to the Public Gardens for a ride on a swan boat. First Night Boston, one of the oldest New Year’s Eve events in America takes place in and around the common, fireworks and an ice show held draw huge crowds to welcome in the New Year. What: Created in 1827 and named after Baltimore businessman William Patterson the park has an interesting history including during the Battle of Baltimore in 1812 when Hampstead Hill played a key role in helping U.S. forces defend their territory from the British. The 137 acres of land has earned the nickname ‘Best Backyard in Baltimore’ and it’s easy to see why. The best bits: Climb the spiral staircase of Patterson Park Pagoda; constructed in 1891 the observation tower has marvelous views of downtown Baltimore from the top. Go for a refreshing dip in the swimming pool during the summer months or for something a bit different attend an aqua zumba class. An indoor ice skating rink allows for year round activities including ice hockey and broomball as well as ice-skating sessions. Reserve a pavilion for a picnic, kick a ball around on one of the park’s sports fields, or try a spot of fishing on the Boat Lake. There are some fantastic annual events and festivals held in the park, the Kinetic Sculpture Race is one not to miss. Human powered works of art have to overcome obstacles such as the mud pit and Pagoda challenge in this eight-hour extravaganza. What: Named after artist John James Audubon the City of New Orleans bought the land the park sits on in 1871 and was developed by landscape architect John Charles Olmsted. 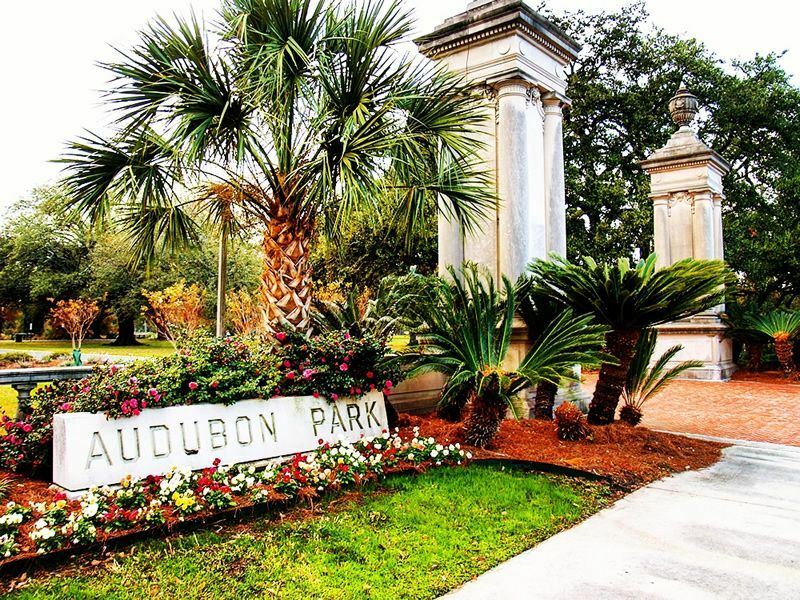 The best bits: The scenic location of Audubon Park located next to the Mississippi River make it a popular city escape with locals and tourists alike. Jump on a street car and picnic along the riverbank, walk, jog or cycle along the 1.8 mile running trail and admire the huge oak trees as you go. The park has plenty of attractions such as a zoo, aquarium and golf course. The Audubon Clubhouse is a lovely place to have lunch, dine outside on the veranda and watch the world go by. Riding stables offer private and group lessons and the outdoor Whitney Young pool is a great place to escape the heat. What: Balboa Park first took shape in 1892, Kate Sessions planted 100 trees per year in exchange for land within the park for her nursery. She became known as ‘the mother of Balboa Park’. The Park is named after Vasco Nuñez de Balboa, a Spanish explorer and the first European to have discovered the Pacific Ocean. 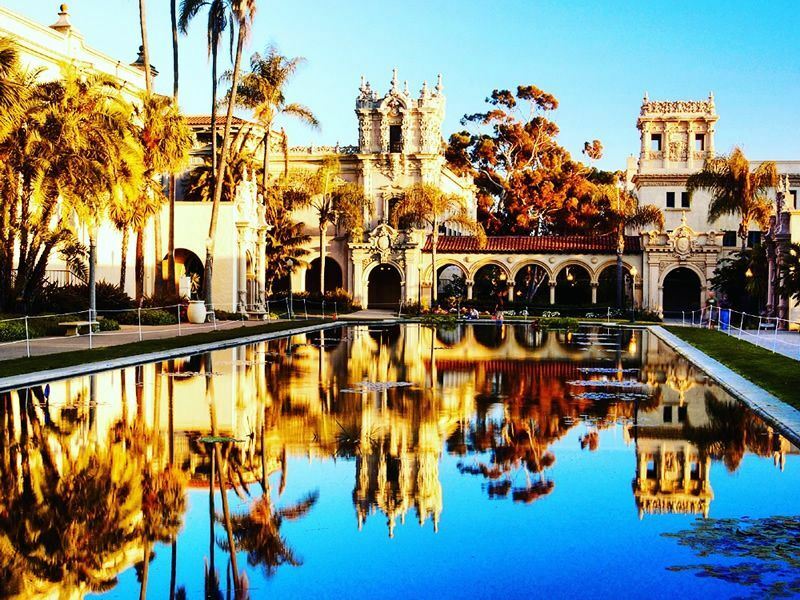 The best bits: This stunning city park overlooks the ocean, covers 1,200 acres and has fifteen museums to discover including the San Diego Natural History Museum and the Air and Space Museum. There are plenty of gardens for strolling and don’t miss the Botanical Building home to tropical plants, palms and colourful flower displays. The park is very well thought out and even caters for four legged friends with designated dog parks. The world famous San Diego Zoo is found in Balboa, renowned for its conservation work the zoo houses the rare giant panda. Cafes and restaurants mean the park can be enjoyed day and night, after watching a performance at The Old Globe have a margarita at The Prado. 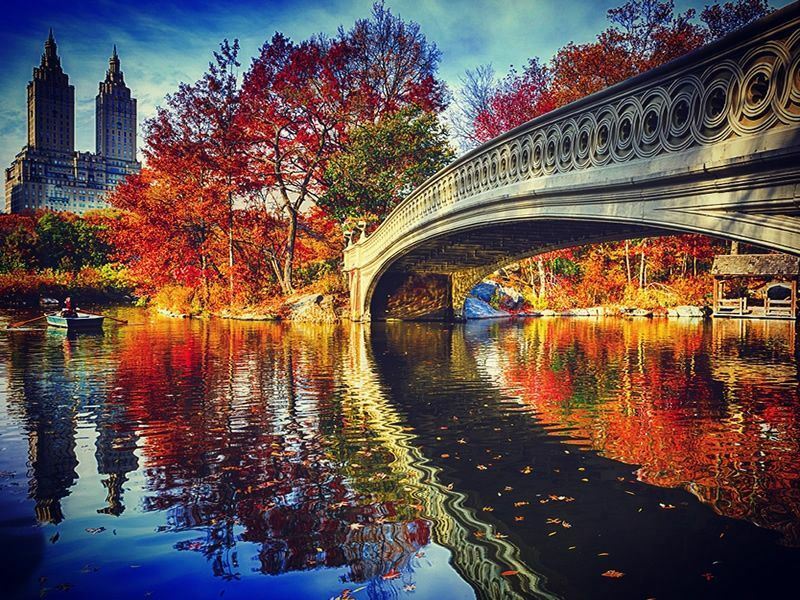 What: Central Park is North America’s first public park and arguably one of its most well known was designed by Fredrick Law Olmsted and Calvert Vaux after winning a design competition in 1858. It opened to the public in the same year and in 1962 the 843 acres of greenery became a National Historic Landmark. The best bits: This vast and varied park has a huge array of natural and man-made attractions. There are two ice rinks, the Wollman and Lasker for winter fun and seven lakes in total. Fish at Harlem Meer, dine at the Loeb Boathouse restaurant overlooking the lake or rent a rowing boat. For nostalgic fun the Central Park Carousel is one of the largest merry -go-rounds in America, it was opened in 1951 and has 58 horses. There are an abundance of green spaces for relaxing in the sunshine or chill out and watch the world go by in a shady spot. The Great Lawn, Strawberry Fields and Sheep Meadow are all popular spots. 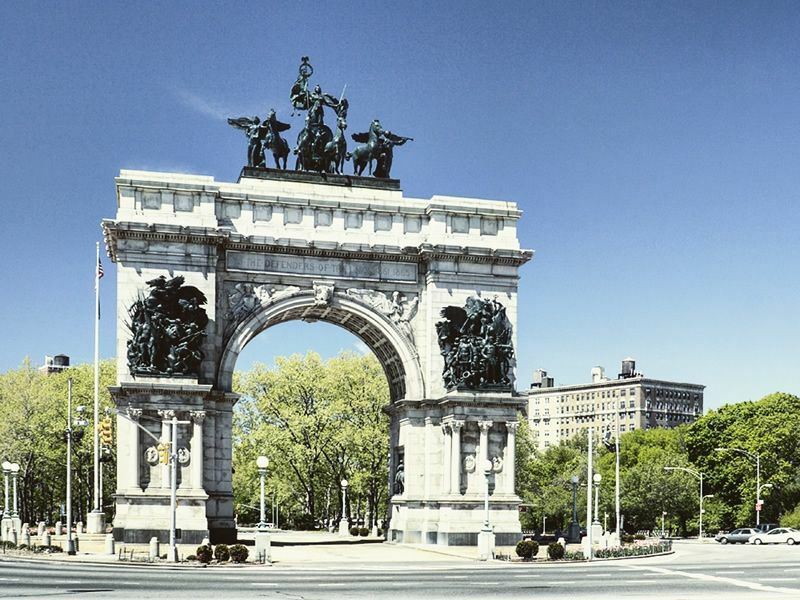 Keeping fit in Central Park is easy with tennis and volleyball courts, baseball fields and running trails, the six mile Park Drive is good for jogging. Open-air theatre productions and music concerts can often be enjoyed on a summers evening. With so much to see and do it is easy to why millions of visitors flock here each year. What: Known as the ‘heart of St. Louis’ Forest Park was opened in 1876 and hosted the summer Olympics in 1904. It has a huge 1371 acres to explore, woodlands with 45,000 trees, lakes and lagoons, it is a wonderful urban escape. The best bits: This awesome park has it all, not only is it a beautiful green space to relax and escape the hustle and bustle of the city it also has plenty of attractions. The Saint Louis Zoo is free to visit and has over 18,000 animals including lions, tigers and elephants. Saint Louis Science Center houses the McDonnell Planetarium, it holds stargazing events and a planetarium show, watch over 9000 stars twinkling on an 80 foot ceiling display. To get back to nature Kennedy Forest and Kennedy Woods have walking and hiking trails for exploring and getting lost in. A golf course, tennis courts and ice rink are there for the sporty and the impressive 75-foot waterfall known as Flegal Falls is a popular spot for picnics. The annual Great Forest Park Balloon Race is not to be missed; the hot air balloon race is in its 44th year, the three-day event includes the majestic Balloon Glow, watch as the sunsets and hundreds of balloons lit up brightly by their burners.